Now if there’s one good thing about the current economy crisis in Nigeria, it is the push to buy made in Nigeria goods as opposed to imported items. And our local designers have really stepped up to the plate. One of such designers is Lavince, which is based in Abuja but ships nationwide. Seeing the affordability and timelessness of their items, I thought I'd reach out to them and style some of their pieces. Now by affordable, I mean clothing items that one can easily pick up without having to starve. Because in this economy I find it hard to justify spending large amounts on one pieces of clothing, my thoughts and pocket though. 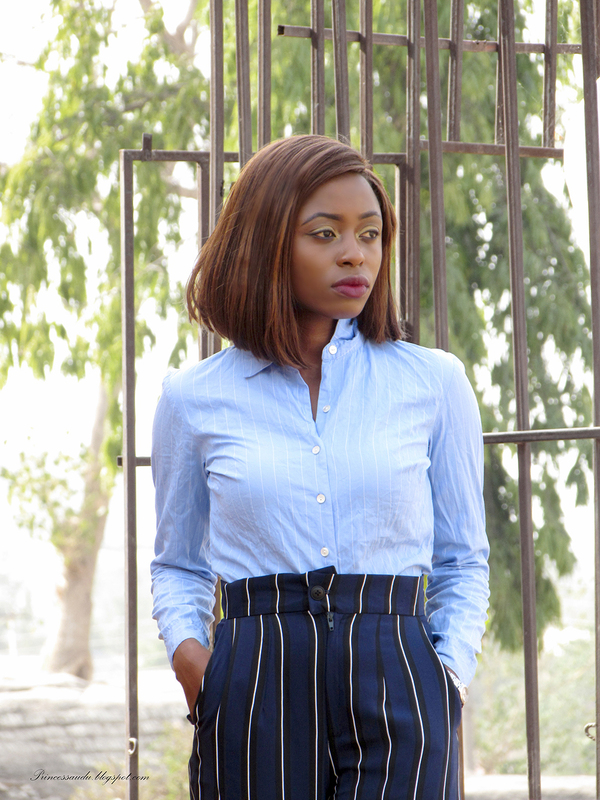 Today, I'll be styling in two ways, this high waist pin stripe trousers which costs less than 5k and the material and fit feel so good. 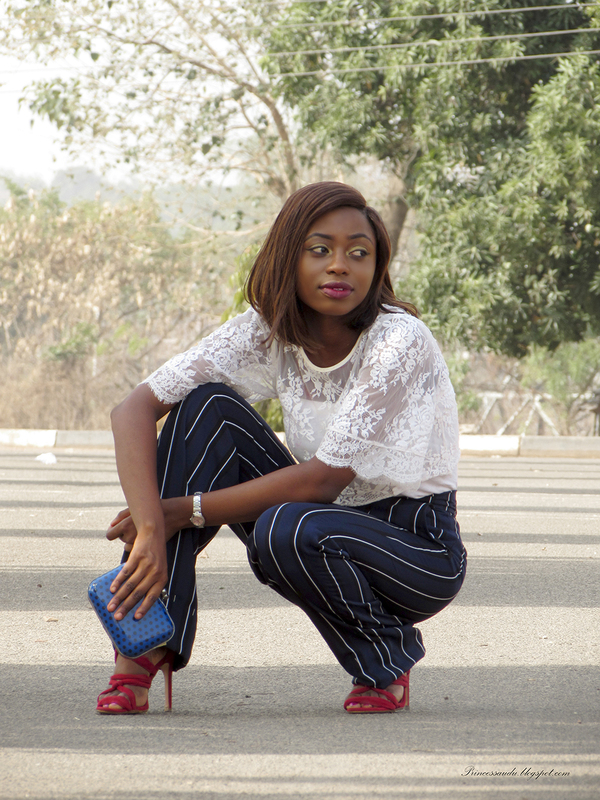 And for my tall ladies out there these trousers are very long, I had to fold it in for this shoot, so you’re covered. This is not a sponsored post by the way but you get a 10% discount on any purchase by simply saying Princess Audu sent you. 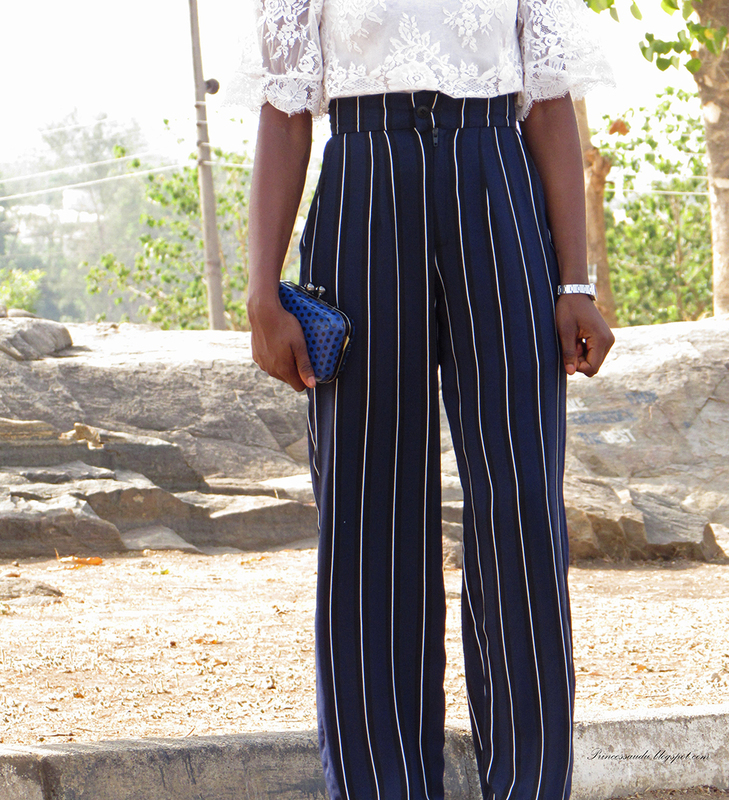 For this first look, I paired the trousers with a delicate lace crop top previously styled here and here. I also added a pop of red with my Zara sandals and a pop of print with this polka dot clutch. I think this look would be great for perhaps a date night, party or even church as the trousers are loose fitting. 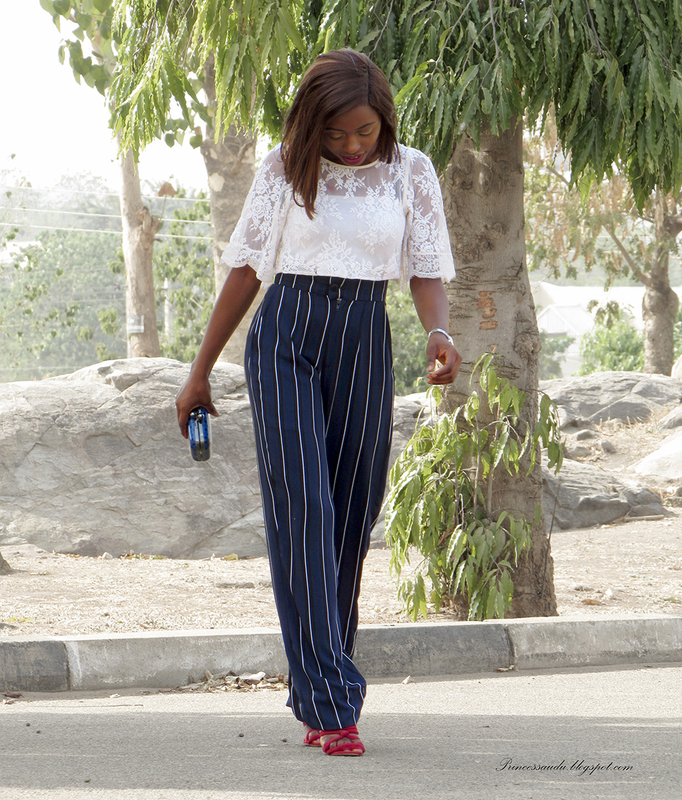 Now trousers are one of closet staple I can't live without, especially high waist trousers. In the past, I've styled my two favourite pairs in lookbooks (here and here). 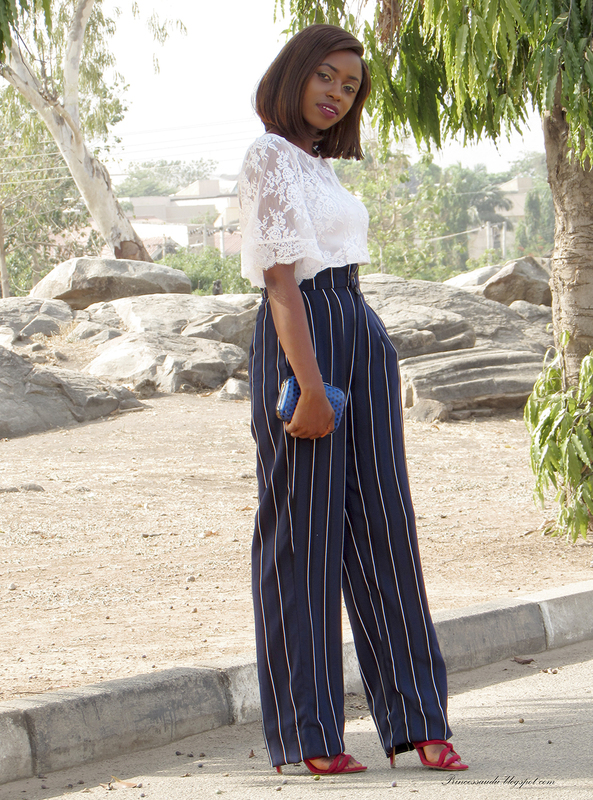 For this second look I styled a royal blue shift dress also from Lavince over the trousers. I've been seeing the dress over pants trend for a while now and thought these two pieces actually pair well together. I then added a belt to define my waist and give the look more character. Hope you all had a productive weekend. 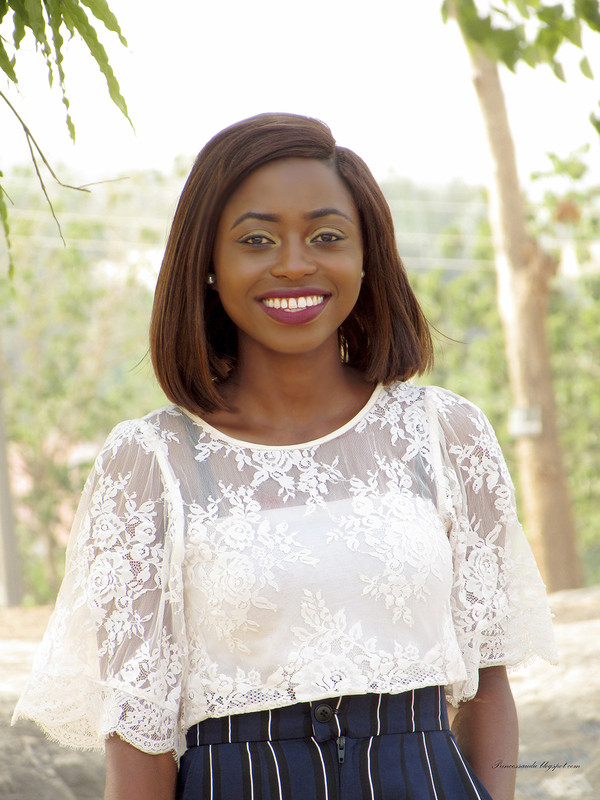 I spent part of mine meeting up with fellow content creators in Abuja and it was so much fun. Shout out to all the bloggers out there doing their thing, we are actually a lot more than most people think. Again, you get a 10% discount on any purchase by simply saying Princess Audu sent you. What was your favourite look? How would you style these trousers differently? What's one closet staple that you can’t live without? 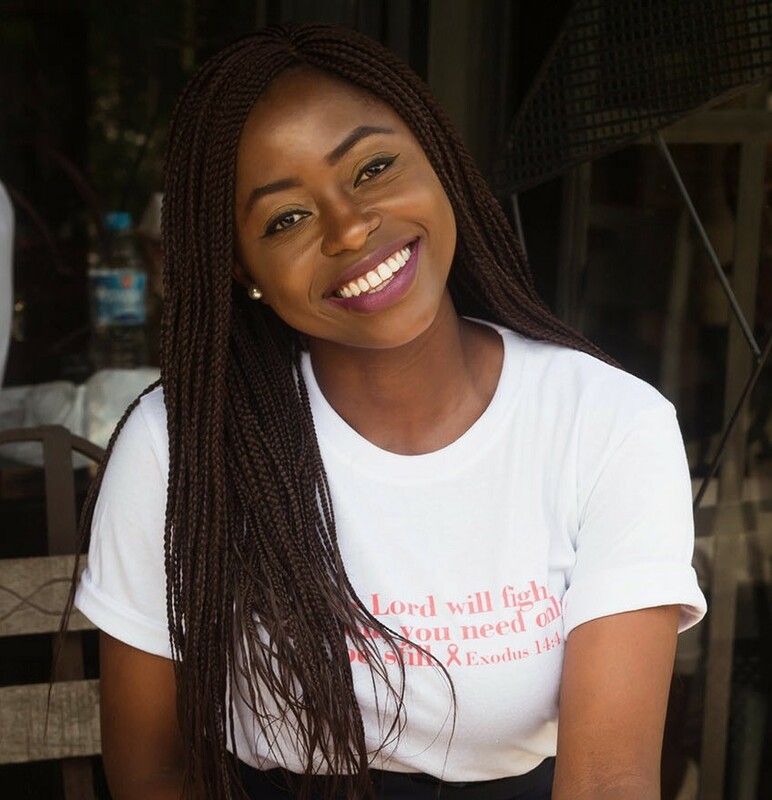 What are some of your current favourite affordable Nigerian designers. See you on Wednesday, I will be restyling the blue shift dress, stay tuned! Thanks Stephy, funny my family and I are not a big fan but change is good they say. Thanks again. 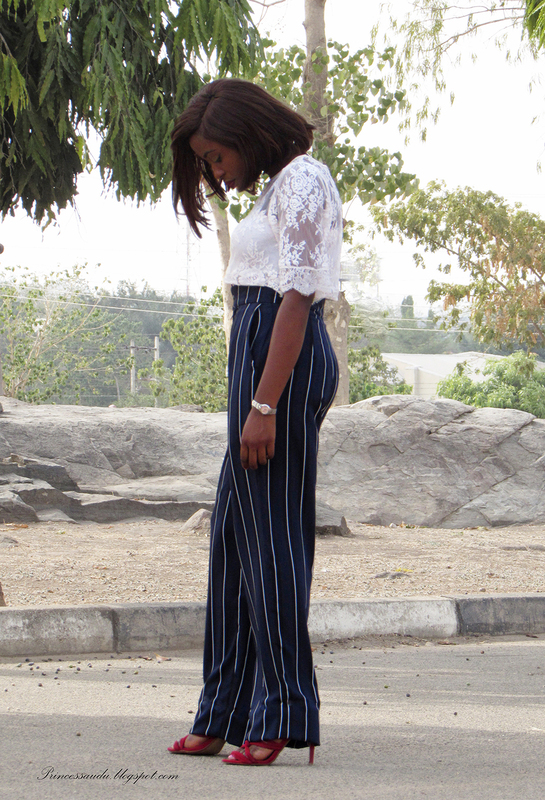 Thanks Deola, its my favourite look too. And I had no idea this would work, it was an accidental outfit planning that just worked. Hair and both outfits look beautiful. 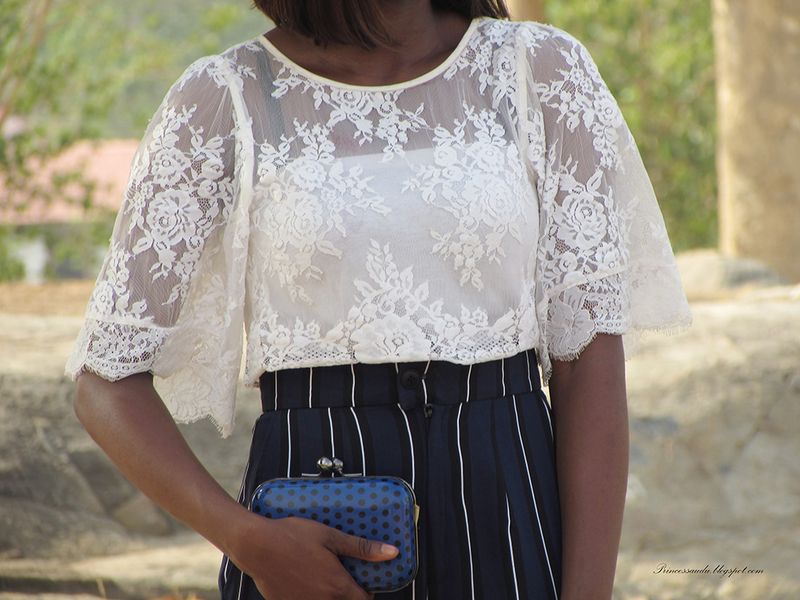 I may have to go with the lace top but both styles are good!Have a great week ahead! Thanks Zinny, it means a lot. Have a great week too! Hi Sarah, the stripe trouser is so versatile. I love all the ways you styled the top. Thnaks Dominika, it is indeed very versatile. Thanks Demi, The pants are indeed awesome. I love the lace top pairing but the pop of blue is also a win! Thanks so much Linda, how you been. It's been a while. You look so chic and stylish. Both looks are gorgeous, but my favorite look is the second one with the shift dress. It's stylishly unusual. My Wardrobe staple for me are Jumpsuits and probably Asymmetrical dresses. BTW your hair is lovely. Really lovely post. Love the first look, the one with blue shift dress has my heart too. Thanks Omolade both about rhw hair and outfit. I doubt I'd make this a signature look though, I love my braids. Love your trousers girl! They look very beautiful and suit you well! Wow! These trousers are gorgeous! You made stylish combinations with it and I really like your hairstyle! Just also started an Ankara Crafts blog. Would love if you could stop by and tell me what you think. Hi Sarah, these pants look stunning on you! This is absolutely brilliant, the one with the blue in my opinion was the best. Great job babe. Welcome back to the blogsphere girl, thank you. Finally girl, thanks so much for bringing it to my attention. Will work further on it. I love the lace top look(Look 1) and I also love your clutch. These pants look so well-made. I should check out the brand!